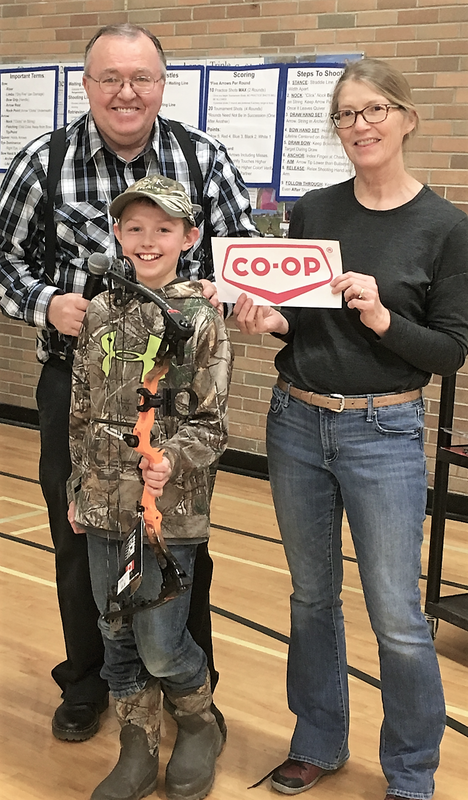 Kelly Thomas and Carol Gross presenting Overall Best Shooter Karson Kiemele witha Pincher Creek Coop Compound Bow. 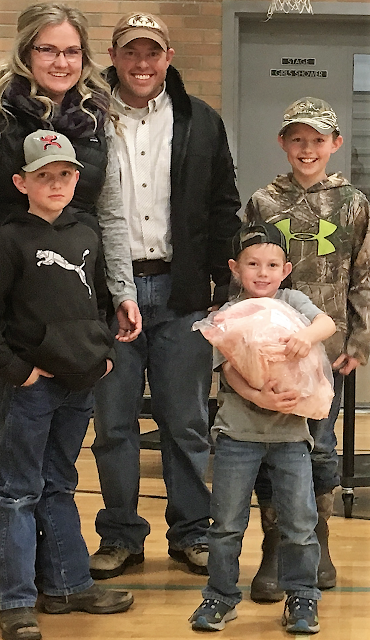 Kelly Thomas - The Spring Glen Elementary School in Glenwood had their First Annual Christmas Turkey Shoot on Friday, December 8, and it was a great success. We had some amazing archers come to participate and they went away with some great prizes. We had some amazing donors this year. The Pincher Creek Coop donated a very expensive Jr. compound bow (over $500), the Lethbridge Community Foundation made a substantial donation, an anonymous donor gave us enough to buy an archery target outright, many local people, Laura McGlynn, Debbie Meservy, and Connie Henrie, donated craft items they produce, and other businesses, like K&D, Home Hardware, UFA and Castle Mountain all participated by donating items that our winners took home. Kim, Taylor, Karson, Ty and Matt Kiemele receiving their turkey. We had 5 categories and one of our youngest shooters turned out to be the best. 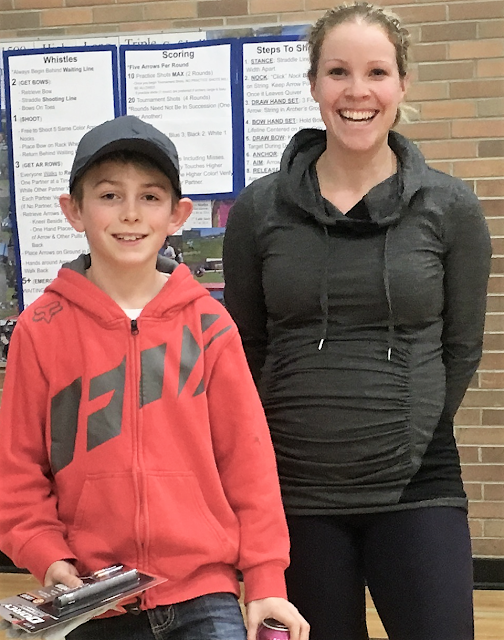 10 year old Karson Kiemele from Hill Spring and a student at the Spring Glen Elementary School shot 99/100 points. He was the overall winner (beating out all of the adults as well) and won the Jr. Compound bow. He will make good use of it. His family also shot in the family division and came away winning a turkey. Jen Meyer was the top adult, with Robert Lybbert and Taylor Kiemele coming in second and third respectively. Here are the complete results.